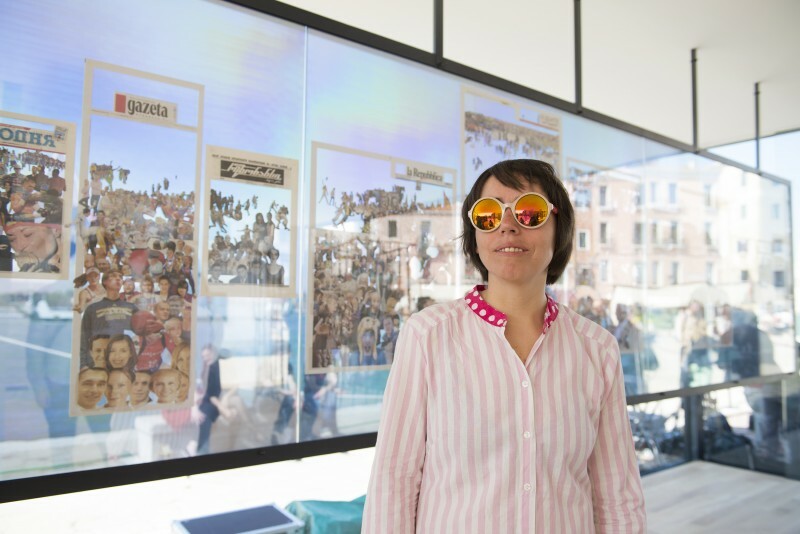 The practice of organizing the Venice Biennale around national pavilions often comes under criticism for its perpetuation of the distribution of power. Large and wealthy countries are generally well represented with their pavilions in the specially designed and renovated prestigious Giardini or Arsenale sites, whilst less powerful countries find themselves in rented buildings outside the main sites. However, on the other hand, each Biennale presents the opportunity for marginalized nations to communicate to the wider world via artistic means. Sometimes the peripheral national events speak louder than some of their counterparts in the main Biennale sites. The 56th Biennale di Venezia was no exception, with the Ukrainian Pavilion – entitled ‘Hope!’ – occupying a prime position at the foot of Via Garibaldi, in a temporary glass and metal structure which will be visible to the majority of Biennale goers this year. Featuring five artists, one artist duo and one artist group, Hope! aims precisely to give hope to a war beleaguered nation which has had its sovereignty threatened by the annexing of the Crimea by Russia in March 2014. 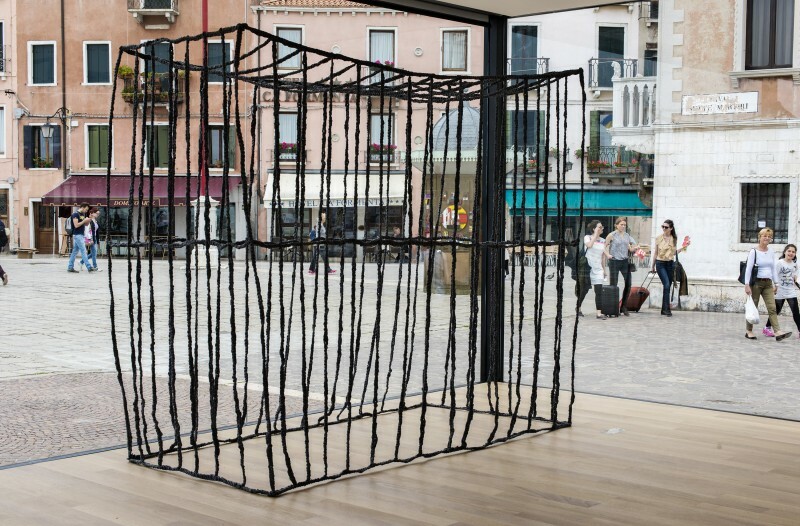 The sculpture, Cage (2010), by Anna Zvyagintseva expresses the contradictions between freedom and imprisonment, and strength and fragility. The knitted cage is based on those used in courtrooms in the Ukraine to house the defendant and refers to the abuse of the juridical system due to political corruption and the recent pressures due to being occupied by Russia. Zhanna Khadyrova’s Crowd. Day (2015) features a collage made from images collected from newspapers from around the world on March 16 2015, one year after the Crimean public voted to separate from the Ukraine in an illegal referendum. The six metre long work features people of different backgrounds in a crowd scene, with the only text remaining being the newspaper titles. In this way Khadyrova traces the way the global media chooses to focus on certain issues and ignore others. Overall this is a stark exhibition, which in contrast to its title offers a bleak image of life in the Ukraine. Yet beyond this, it tells a message which is universal reminding us that we need to be careful to protect our rights and wary of the abuses of new media technologies. 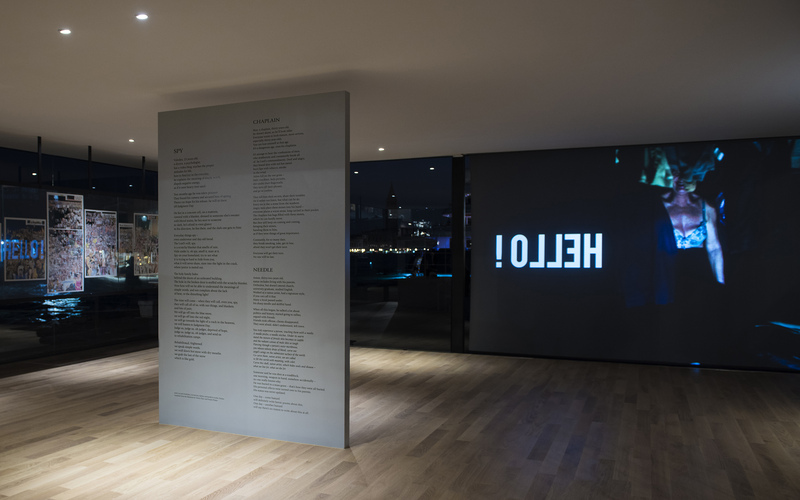 Above all, ‘Hope!’ demonstrates that whilst for some countries a national pavilion at the Biennale is a confirmation of their power status, for others it fits into a wider struggle for recognition and survival.